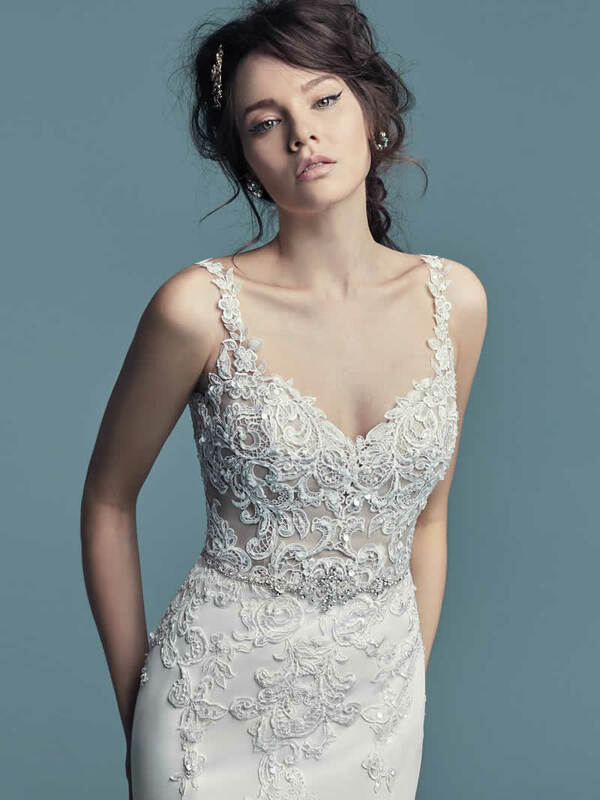 Embroidered lace motifs accented in pearls and Swarovski crystals cascade over the sheer bodice of this romantic Aldora Crepe wedding dress, completing the straps, V-neckline, and illusion scoop back. 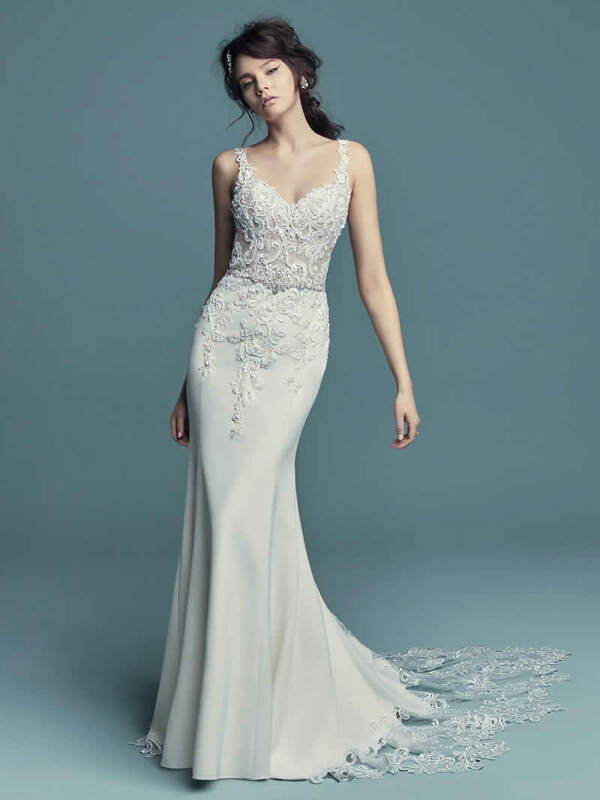 Sheath skirt features an illusion cutout train accented in lace motifs and an attached beaded belt with Swarovski crystals. Finished with pearl buttons and zipper closure.